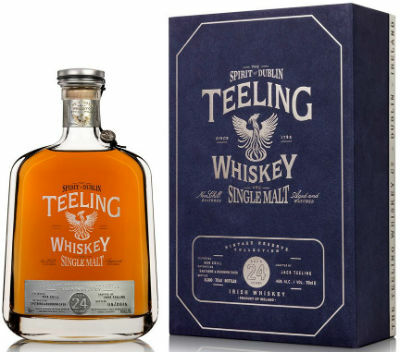 Teeling Whiskey Company, established in Dublin in 2012, has just released a brand new 24yo whiskey. Hang on… that doesn’t add up… a 5 year old company can’t release a 24yo whiskey can it? It can, actually, and here’s how. The Teeling family have long had an association with the Irish whiskey industry, what with Walter Teeling having set up a micro-distillery in the Liberties area of Dublin in 1782. 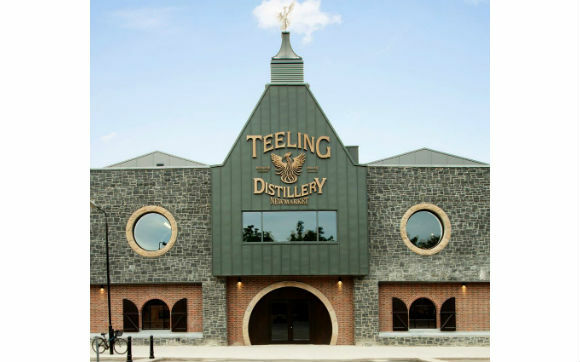 Fast forward to 1985 and, several generations later, John Teeling buys a former potato schnapps distillery and converts it into a whiskey distillery within two years. This distillery, originally known as Cooley and now known as Kilbeggan, was the first new distillery to open in Ireland in over 100 years, and it marked the re-introduction of the Teeling name back into Irish whiskey distilling. Having sold this distillery to Beam Inc in 2012, John’s sons, Jack and Stephen, established the Teeling Whisky Company, initially as an independent bottler and, more recently, as a distiller. The new Teeling distillery first produced spirit in March 2015, but as even the most mathematically challenged amongst you will realise, this is not even close to 24 years ago. Part of the T&Cs involved with the sale of Cooley to Beam included the transfer of approximately 16,000 cask of mature Cooley spirit to the Teeling brothers and presumably it is some of this stock, as well as maybe a wee bit of Bushmills, which comprises the liquid in this expression. History lesson over. Let’s get to the whiskey. Nose: Grapefruit, passionfruit, lychee, wine gums, apricots, waxy apples and banana fritters. An explosion of tropical fruit. The there’s plum jam, vanilla cheesecake and meringue, all underpinned by vague smoke/wood char. Very enticing. Palate: Big and juicy initially, with apple chews, grapes, pears in syrup, grilled pineapple and rhubarb crumble. A white pepper nip pervades, along with cooked apples and a touch of light honey. Some smoke wafts around too. Finish: Some sawdust, gentle oaky notes, fruit pastels and pear skins hang around for quite a while. Overall: Oft. That’s all I have to say really. Wonderfully fruity, really quite complex and a whiskey which had me coming back to nose it again and again. Stellar stuff. This entry was posted	on Monday, January 30th, 2017 at 1:36 pm	and is filed under Reviews. You can follow any responses to this entry through the RSS 2.0 feed. Responses are currently closed, but you can trackback from your own site.